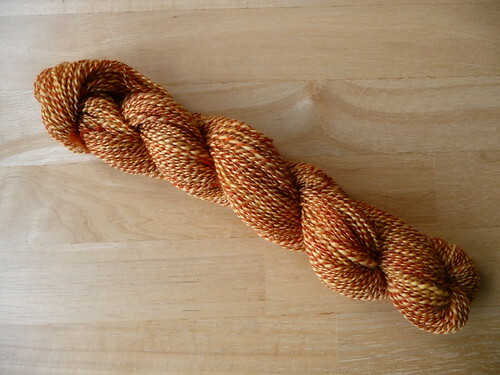 it’s sock weight but unfortunately only 42g and 155m. so not enough to knit socks. 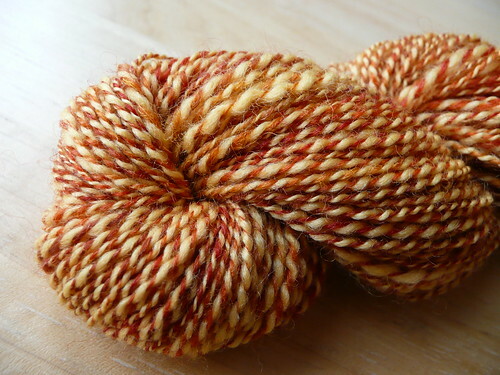 i’m thinking about spinning the two other yellows together and then knit striped socks from it. what do you think?